We sit at the breakfast table. We sit when commuting to work. We sit at our desk. We sit on the ride home. We sit at the dinner table. We sit as we watch TV. Which begs the question, what effect does sitting have on our body and mind? In the human history, chairs are a relatively recent invention. We evolved to walk, run, forage, climb, and hunt, in other words, we evolved to MOVE. In this series we analyze the problems with sitting and how, with a little bit of effort, we can take back our health and freedom. The reality is, whether we like it or not, most people reading this spend 6-8 hours a day at a desk. Unfortunately not everyone can stand or move around at work. Most people are required to sit for work, travel, and school. And now that we’ve recognized that problem, we can move on to actually helping you fight it. Here are 4 tips to help you counteract the ill-effects of sitting today (from Dr. Kelly Starrett’s book Deskbound: Standing Up to a Sitting World). The first step to fighting our sedentary lifestyle is to cut the problem out in the first place. Whenever you have an option to do something other than sitting, do that other thing instead. Could you opt to stand up in the back of the conference room instead of using a chair? Could you walk/bike to work instead of driving? Could you create a standing desk at work inside of a seated one? We all know what it feels like to get out of a long car ride with stiff legs and a sore back. In a car, it’s difficult to stop and walk. But at your desk the option is always there. Start breaking up the day with mini-mobility sessions. This could mean walking to grab some water or coffee. It could also be used to do a few calf and hamstring stretches at your desk. It could mean (we’re going to get a little crazy here…) leaving a lacrosse ball or foam roller in your cubicle for a little mobility break. Whatever it is, give yourself a few minutes every hour to get blood circulating into those stiff muscles again. It might seem like a productivity killer, but by doing this you will help fight brain fog and increase productivity. Just because we’re sitting doesn’t mean we can forget about posture and mechanics. Sitting is a skill just like deadlifting is. Are you bracing your core before sitting down? Are your shoulders and head dumped forward while you look at the computer screen? 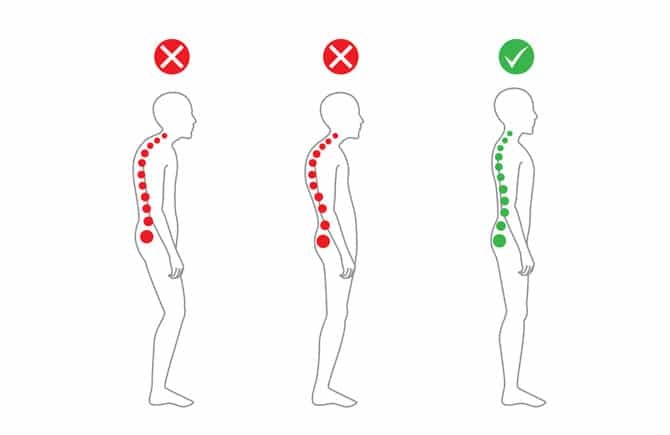 By bringing awareness to our positioning while sitting, standing, and walking, we can reduce the wear and tear on our joints and back. One quick tip I like is to drive my knees out wide when I’m sitting. Just like in the bottom of a squat, driving the knees out in a chair creates a much more stable hip! There are no rest days when it comes to mobility. We all have unique issues, pains, and stiffness. Build a habit of working to improve your mobility daily. It took years to get stiff and tight, so it’s gonna take a long time to undo it all. By working everyday on some aspect of your mobility (calves, t-spine, hamstrings, shoulders, etc.) we work to rehab and eventually prehab our bodies from injury. I prefer to do my 10 minutes right before bed as a way to cool down and decompress. It doesn’t matter when you do it or honestly what you do (foam rolling, stretching, lax ball work, resting in the deep squat) as long as put in the effort. Good things will happen when you do!